Introducing the BAK Revolver X4, featuring the same great benefits of the Revolver X2, now with a stylish matte black finish. When closed, heavy-duty aluminum slats secure the cover the full length of the bed on both sides, providing unrivaled strength and security. When opened, the cover rolls up tight providing full bed access without blocking rear view mirror and third brake light visibility. The Revolver X4 gives your truck a finished, OEM look. 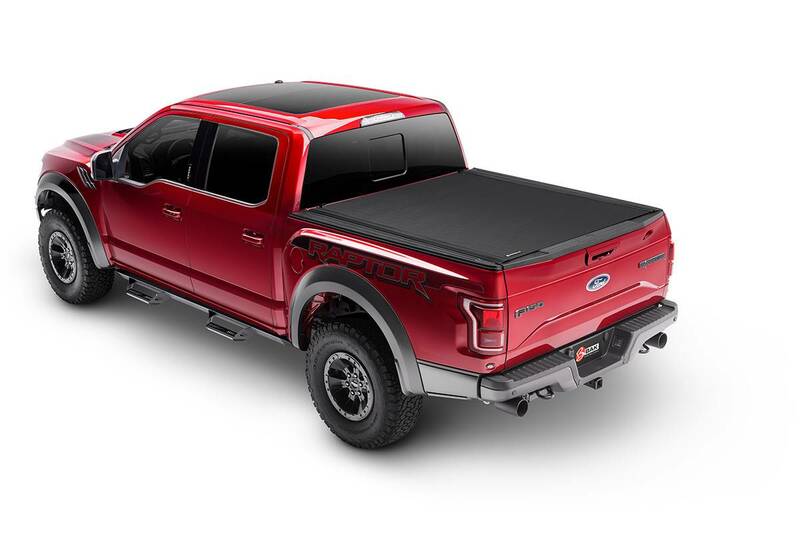 The heavy-duty aluminum slats are topped with industrial-grade, matte finish vinyl, accompanied by new matte finish rails and seals that match the factory bed rail caps of your truck.